More and more sportspeople choose HeartMath to improve their performance. The examples mentioned below are all individual testimonies of professional athletes who experienced the benefits of working with the HeartMath Method. One famous example is Ian Woosnam, captain of the recently victorious European Ryder Cup Team (read the article: Ian Woosnam, 2006 European Ryder Cup Team Captain, Reveals His Secret to a Winning Performance). Other articles about HeartMath and golf can be found in the May 2007 edition of the well-known international magazine Golf Digest Playing with the Heart, Golf Digest mei 2007, in the Manchester evening news or in Today's Golfer Sep07. HeartMath Benelux has been partner in a research project called Tech for Future to investigate whether performance from top athletes and soccer players from the highest league can be improved by using neuro- or biofeedback. The project was done in 2014/2015 with Saxion University and various other partners. 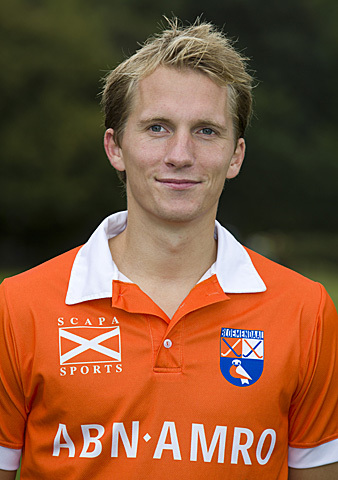 Ewold de Maar of HeartMath Benelux trained the athletes and soccer players. The involved soccer players and athletes were very enthusiastic about the training. In 2016 an article was published on the research stating that both neurofeedback and biofeedback (HeartMath Method) are very promising for performance improvement in sports. Ken Way - Sports Performance Psychologist working in Premiership Football discusses his use of HeartMath and emWave biofeedback technology to improve athlete performance. The famous former Swiss professional soccer player Alain Sutter (known from Bayern München and the Swiss national team), has been trained to become a licensed HeartMath Coach (see this german video). 'The HeartMath method has helped me tremendously. I’ve became more aware of what causes me to get stressed out and learned to recognize when I’m about to encounter a stressful situation. This increased awareness helps me to avoid the negative effects of stress by using the breathing exercises for example. Maarten Hermans. 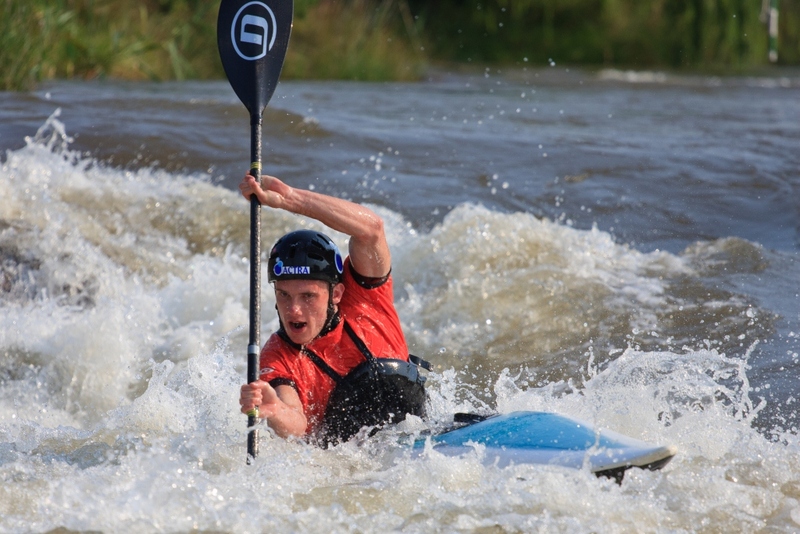 Dutch Champion wildwater canoeing 2009, 2010 (juniors), 2012 (seniors) 2010: EC and WC juniors and seniors. Winner Johan Cruijff-award 2013. 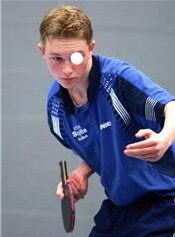 Currently training for the Olympic games 2016 in Rio. Another example comes from six time world champion and Olympian champion Kayak Anna Hemmings. 'I´ve took part in a 2 month HeartMath course about 5 years ago and I still benefit from this program to this day. During the tense moments before big games I can feel my stress levels rising. I am now able to calm myself down using the breathing exercises, which gives me the opportunity to focus on my tasks and, most of all, to give me the confidence I need to perform. Of course it’s a personal preference, but for me it works. Annemarie der Kinderen. National Champion Archery. Currently training for the Olympic games 2016 in Rio. 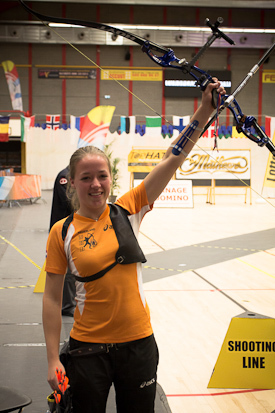 'At a young age I became the Dutch Champion in Archery. After a very successful period my performance started to decline. My timing was off and I found myself in a very frustrating place, knowing I could do better, without knowing how. 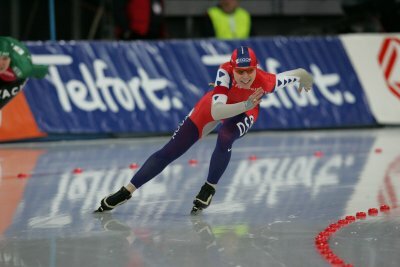 Especially since I maintained a high level during practise and failing during the actual competition I started working with the HeartMath method. Cyclist Marc de Maar of the United Healthcare Professional Cycling Team (former Rabobank Cycling team member) uses the emWave2 to reduce stress and improve his performance. 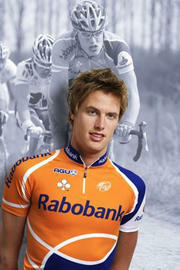 (See article De Maar winning the Rabobank mind game from the magazine Procycling). ‘I wish something like this would have existed in our days!! If you’re able to control your emotions during the deciding phases of the match, you usually end up winning the match. Training those situations proved difficult, until now. The mental aspects of the sport have received a more prominent place in our training schedule and thanks to the HeartMath method we’re now able to train this department very specifically. Furthemore, we also benefit from it in our personal lives. Our philosophy is that you can play your best game if you play it from the heart (with passion). The HeartMath method made this tangible and we are planning to use this approach as a fixed part in the training of our youth players. By doing so we are sure it will become an integral part of maximising performance. Conclusion: Very applicable and tangible. This will make a difference! A recent study in de United States examined the effects heart coherency and the usage of the emWave for a Women’s Volleyball Team. See the link below for the results. The effects of Heart Rythm variability biofeedback with emotional regulation on the atlethic performance of women collegiate volleyball players. ESPN published an article on march 8th 2012, about the usasge of the emWave in the NFL. Check out the full article here: I think, therefore I choke.